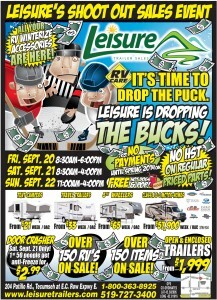 Leisure’s 3-Day SHOOT OUT Sale on NOW! 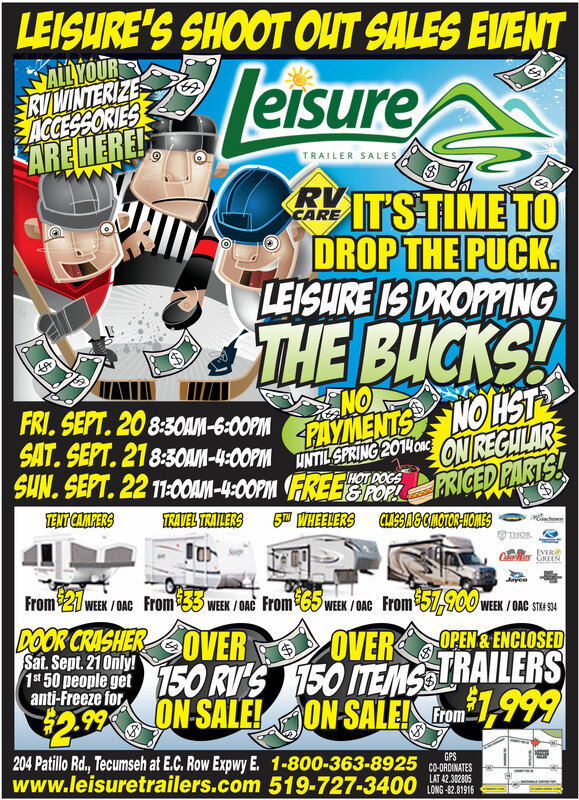 Don’t miss it – the year end clearout on all PARTS & TRAILERS!! NO HST on all reg. priced parts & accessories!